Sitting on the shores of the South Island’s Lake Wakatipu in New Zealand is the beautiful town of Queenstown. Dubbed the ‘Adventure Capital of the World’, it is the place to go to for many wonderful outdoor activities. Queenstown offers you gorgeous nature and a charming entertainment scene. Popular attractions include Glenorchy, Queenstown Hill and Lake Wakatipu. Prepare for an exhilarating holiday experience, because cheap flights to Queenstown are now available for a limited time! Queenstown is the home of Queenstown Airport (ZQN), which is a 10-minute drive or scenic 20-minute bus ride from the city centre. The position that Queenstown offers, on the shores of Lake Wakatipu with magnificent mountains in the backdrop, means wonderful outdoor activities such as hiking, cycling, paragliding, boat rides and more. With its location on a huge shimmering lake and the neighbouring mountains, you can be sure to enjoy fantastic views over your surroundings, which include Queenstown Hill and Ben Lomond Track. 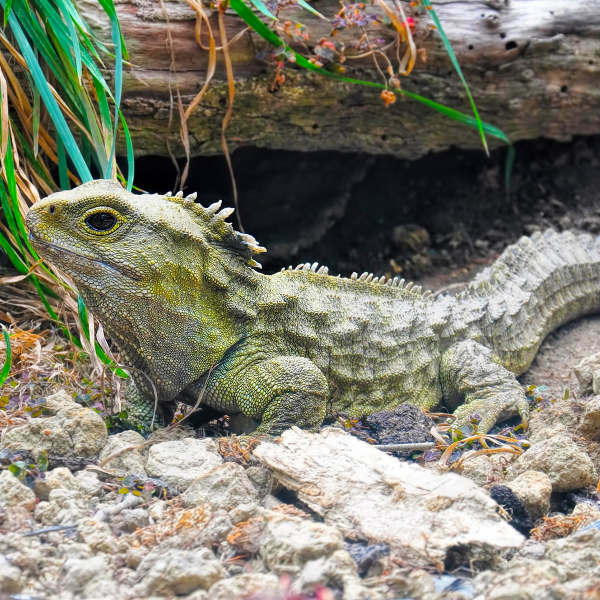 As a destination in New Zealand, you’ll be sure to discover many incredible, cute and exotic creatures. Some of these creatures include the famous kiwi, tuatara (lizard), blue penguins, dusky dolphins, and seals. Queenstown is a well-visited destination, meaning that summers (December - February) and winters (June – September) are the busiest times of year. Both seasons provide the perfect opportunity for outdoor activities. The mild to hot summers are ideal for mountain hikes, cycling, jet boat rides, parasailing and kayaking. During winter, there’s plenty of snowfall, perfect for skiing and snowboarding. For a quieter experience in Queenstown, visit during autumn (March – May) and spring (October – November). The weather during these periods can be unpredictable with intermittent rainfall, but guarantee you fewer crowds and cheaper hotel costs. For cheap flights to Queenstown, book a ticket between October and November. The destination of Queenstown sits in a picturesque location, on the coast of the South Island’s Lake Wakatipu, with the stunning Southern Alps providing a dramatic backdrop. This town in New Zealand is an excellent base from where travellers can explore the surrounding region’s scenic vineyards and historic mining towns. Queenstown is popularly known as the ‘Adventure Capital of the World’, thanks to it providing superb opportunities for exciting outdoor activities, like ziplining, skydiving, AVT tours, boat rides, and bungee jumping. 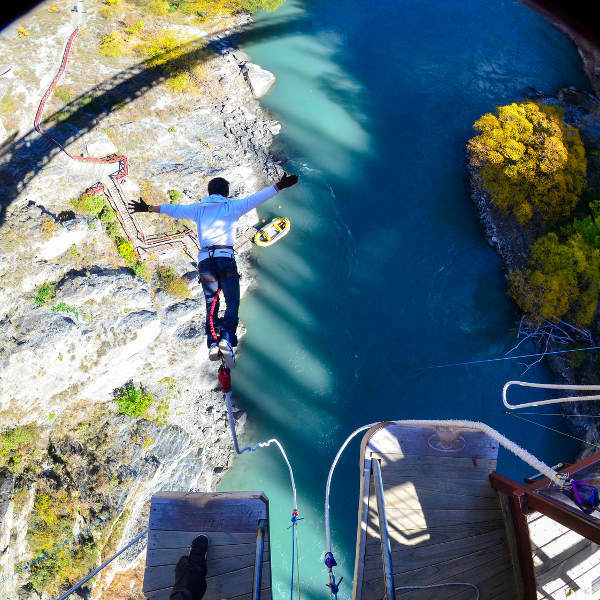 Locations around the town that provide these exhilarating adventures include the Queenstown Nevis Highwire, the Ziptrek Treehouse and the Kawarau Bridge. 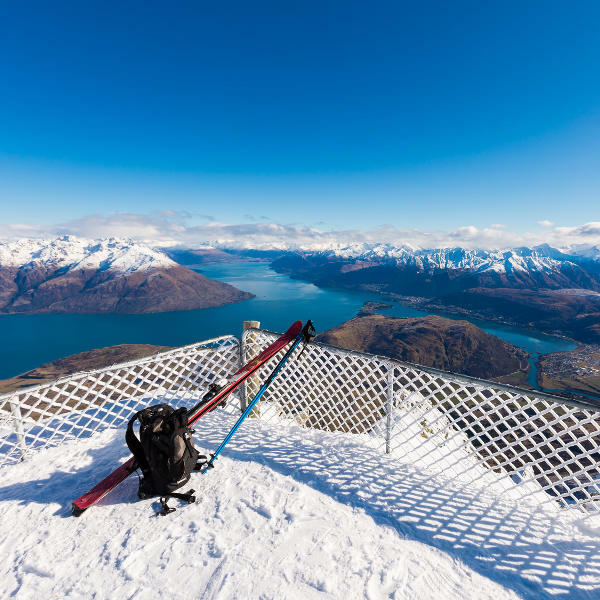 During winter, visitors and locals go skiing on the slopes of the magnificent ski resort of Coronet Peak and the breath-taking mountain range of Remarkables. If you think that’s all there is to this New Zealand destination, you’ll find that Queenstown’s wealth goes much further. It includes a relaxed setting that consists of a multicultural dining and arts scene as well as five world-class-class golf courses. In the evenings, experience numerous bars coming alive thanks to the generally young crowds. And when you’re simply seeking to rest your feet, sit back on one of the benches along Lake Wakatipu and enjoy gorgeous views. Compare several airlines and book your cheap flights to Queenstown online at Travelstart! From four to six weeks before your departure date, make sure to get all the routine vaccinations. Consult with your local health practitioner for more information. Additionally, you may need to guard against hepatitis A (spread through contaminated food and water) and hepatitis B (spread through sexual contact, contaminated needles and blood products). Should you be exploring Queenstown by car, make sure your doors are always locked when leaving the car unattended. Keep your valuables out of sight, preferably in the boot/trunk and make sure to put them there before you depart. Other than that, practise basic common sense, and you will be fine while enjoying a holiday in Queenstown.